Tri Hair Care - Just Beauty Products, Inc.
Tri Hair Care There are 10 products. 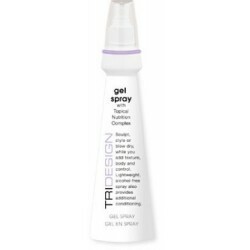 Tridesign Gel Spray 9.5 Oz. Tridesign Gel Spray Sculpt, style or blow dry, while you add texture, body and control. Lightweight, alcohol-free spray also provides additional conditioning. Texture Styling Creme with Topical Nutrition Complex. Enhance hair texture while banishing frizz. 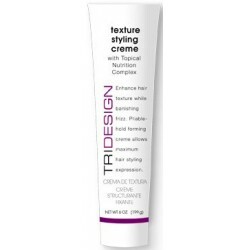 Pliable-hold forming creme allows maximum hair styling expression. 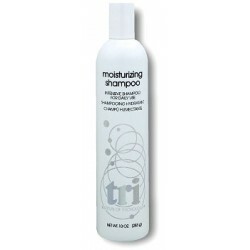 Tri Hair Care Hydrating Shampoo 10.5 Oz. Tri Hair Care Hydrating Shampoo. Cleanses and strengthens all hair types. Essential nutrients and moisturizers restore balance, resilience and shine. Fulfate Free. Tri Hair Care Hydrating Shampoo With Color Protector 10.5 Oz. Tri Hair Care Hydrating Shampoo with Color Protector, a Gentle daily shampoo that infuses the hair with protein and moisture, increases body and shine. 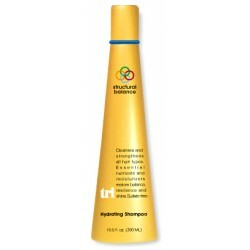 Structural Balance Hydrating Shampoo is a unique, Sulfate-free shampoo that is formulated for daily use on all hair types to moisturize and correct structural imbalances in the hair. Tri Hair Care Styling Spray With Color Protectors 9.1 Oz. Tri Hair Care Styling Spray With Color Protectors Tri Structural Balance - Styling Spray with Color Protectors is an environmentally safe working and finishing spray that allows flexible design control with all day hold. CLARIFYING SHAMPOO This gentle, deep cleansing shampoo contains chelating agents that will revitalize the hair by removing build-up from styling aids, mineral deposits, chlorine, and other impurities that impair the integrity of the hair's texture. Recommended to new and refresh the hair prior o any chemical application. Tri Hair Care Clairifying Shampoo 10.5 Oz. TRIDESIGN CLARIFYING SHAMPOO This gentle, deep cleansing shampoo contains chelating agents that will revitalize the hair by removing build-up from styling aids, mineral deposits, chlorine, and other impurities that impair the integrity of the hair's texture. Recommended to new and refresh the hair prior o any chemical application. Moisturizing shampoo This luxurious shampoo may be used daily on all types of hair. Adds vitality while protecting and restoring highlighted, colored or permed hair. 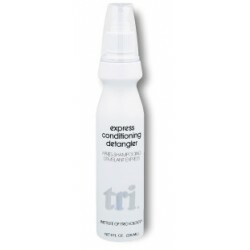 Tri Hair Care Express Conditioning Detangler 8 Oz. Tri Hair Care Express Conditioning Detangler , mist this leave-in conditioner into hair that tangles.